What You Should Feed Your Senior Dog! As our dogs age, we notice how they tend to slow down and not be the rambunctious puppy that they used to be. And, that’s Ok! We just need to adjust our outlook and change certain aspects in their life, including their diet. 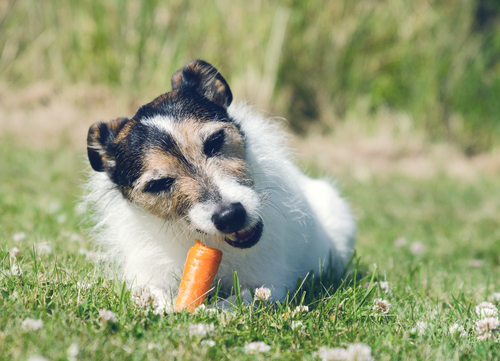 The main goal in feeding an older dog should be to provide your pup with a diet that promotes good health and the ideal body weight. Protein as a main ingredient is essential in a senior dogs’ diet. It is important to feed older dogs diets that contain optimum levels of highly digestible protein to help maintain good muscle mass. 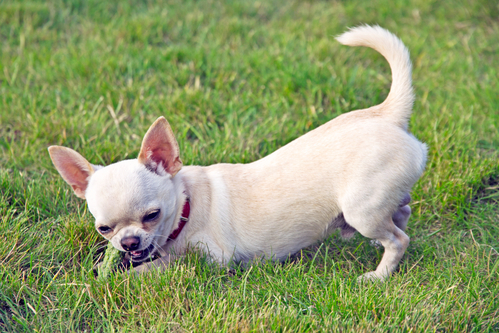 Your dog’s diet should have an adequate amount of fat and more fiber. 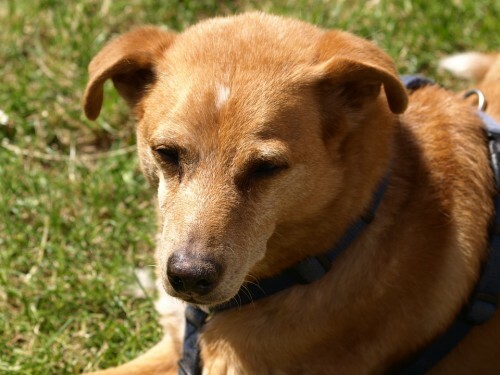 Older dogs tend to gain weight while consuming fewer calories (just as in humans!). This change is due to the fact that older dogs don’t have as much energy as in their younger years and their metabolism changes. That is why it is important to feed your dog a diet with lower calories to avoid weight gain, but with a normal protein level to help maintain muscle mass. And, of course, keep up the daily walks even if your dog has slowed down a bit. 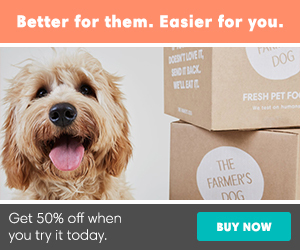 Omega-6 fatty acid can help the maintenance of your dog’s healthy skin and coat. Although it is normally produced in a dog’s liver, the normal production of natural Omega 6 fatty acids can be lessened and/or diminished in older dogs. 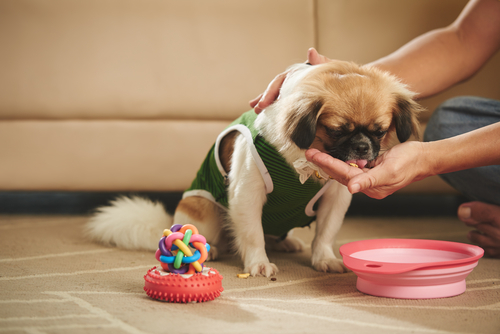 Make sure to watch and gauge your senior dog’s health and diet more readily. They are much more sensitive as they age and not as strong as they used to be and we need to be prepared for that.